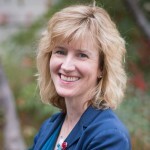 My name is Dr. Heather Hether and I am a faculty member in the Department of Communication at UC, Davis. This term I’ve been teaching Health Communication (CMN 161) — and it’s been a wonderful course. Even though the course is taught in the evenings, my students show up, ready to engage. We’ve had a productive term discussing the major areas of health communication, including doctor-patient communication, health campaigns, media advocacy, health disparities, social marketing, crisis and risk communication, and more. I’ve also been busy writing, working on a chapter for an upcoming digital pedagogy textbook — a topic I’m passionate about, and also writing a case study on a media advocacy campaign. More details to follow. This term I also attended two conferences: the Public Relations Society of America conference in Indianapolis, as well as the National Communication Association conference in Philadelphia. At both conferences, I was able to share my work with colleagues and exchange ideas related to both research and teaching. They were great trips — although both were too quick! I wish you all the best as we push toward the end of the term!